Organophosphate compounds, first synthesized in the 1800s, have been used for insecticides, pesticides, and in war and terrorism, such as the 1995 Tokyo subway poisoning. This book provides an in-depth examination of the effects of organophosphates and nerve agents and offers therapeutic and prophylactic countermeasures. Beginning with an overview of milestones in the use of toxic chemicals and chemical warfare agents, the formulae and toxicities of compounds are given, along with tables outlining animal toxicities. Data on various compounds’ inhibitions and subsequent accumulations are also provided. Along with data on organophosphates and nerve agents, possible first aid and medical responses are compared among potential responses in the United States and other countries in the east and west. 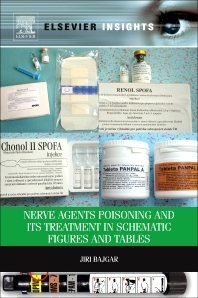 Using clear schematics and tables, this book provides a detailed account of the most common organophosphates and nerve agents, ideas of how to countermeasure their effects, and offers detailed suggestions for where research needs to proceed in the future. This book will prove useful to students, researchers, and military personnel needing to know more about how to deal with nerve agents. Assoc. 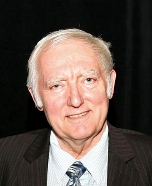 Prof. Jiri Bajgar, M.D., Sc.D.is former Head of the Department of Toxicology (COL. ret), Faculty of Military Health Sciences, University of Defence, Hradec Kralove. He is lecturer at the University of South Bohemia, Faculty of Social and Health Studies. Study interests include the effects of CWA, development of new antidotes against nerve agents including clinical testing and teaching pharmacology and toxicology. He is the author of more than 240 publications and 24 books. He has won many awards including the Czechoslovak Academy of Sciences (1967); Unilever European Fellowship of the Biochemical Society (1969/70); Award of the Czechoslovak Medical Society (1973); European Science Foundation (1993); AACT/AAPCC International Scholarship (1995); Travel Scholarship IITRI Chicago (1996); 1st Prize, Czech Society for Experimental and Clinical Pharmacology and Toxicology (2005); IUTOX/SOT Astra Zeneca Award (2007); the Prize of the Rector (University of Defence) for scientific work (2007). Assoc. Prof. Jiri Bajgar, M.D., Sc.D.is former Head of the Department of Toxicology (COL. ret), Faculty of Military Health Sciences, University of Defence, Hradec Kralove. He is lecturer at the University of South Bohemia, Faculty of Social and Health Studies.